Bards Against Hunger Indiana available now! Remember when I said I was a pretty serious poet? (Scroll down a little bit, and that should help refresh your memory.) Well, the latest collection of poetry that I was fortunate enough to be featured in has been released and you should all stock up while the getting is good! All proceeds will go to benefit The Homeless Advocacy Center of Anderson and Madison County. Order your copies here and help support a great cause! Last year I came across a call for submission for poems pertaining to the night sky. 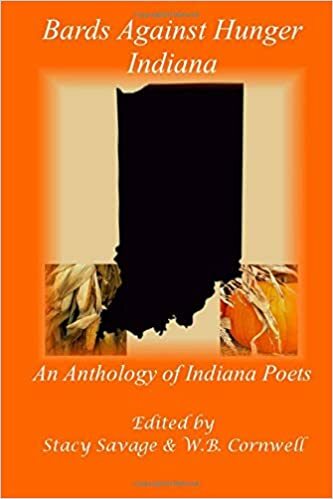 The poems were to be collected and published in book form, and the proceeds would go to benefit a planetarium at Ball State University in Muncie, Indiana. Being a Ball State grad, I was instantly excited and started grinding the gears in my brain to see what I could crank out. I started ruminating over Indiana nights, clear country skies, and lightning bugs. Fireflies to be more precise. My wife and I had been binging the wonderful science fiction television show, “Firefly,” and I knew right away that I had to come up with an ode to Captain Malcolm Reynolds. The words came naturally and flowed freely. It’s a beautiful dedication to cult pop culture. Roses are red, Violets are blue, Turns out I’m a poet, Who knew? A few months ago I was made aware of a fundraising effort by a local pet charity involving poetry centered around pets – mainly cats and dogs. 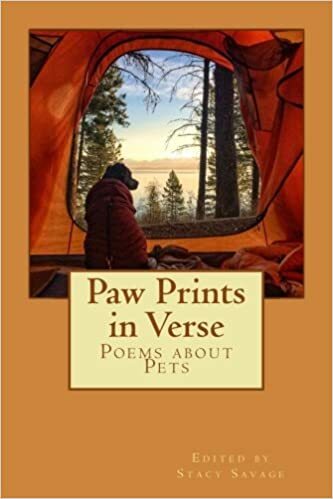 The idea was to have a collection of poetry published, and proceeds will go to help maintain Earl’s Heart Pet Food Pantry in nearby Anderson, Indiana. I submitted three pieces of prose centered around my experiences with furry, four-legged friends throughout my life, and I’m very excited that two of my three submissions were actually chosen to be included in the anthology! The collection was released today, on National Pet Day – because of course! Click the link or check out the Store page to order your copy today! So I learned of a poetry project last month and was intrigued by the concept to say the least. The idea, aptly named Project 411, was to take contributions from as many poets/writers as possible, and compile a 411 line poem to represent the 411 miles of free-flowing freedom that is the Wabash River, an Indiana geographic icon. I whipped up my 5 best attempts at poetry and clicked on the submit button. Well, the final product was released this week and I was excited to see my name listed in the participant’s section! The finished poem is filled with truly inspiring words, so I strongly encourage you to check it out when you have a few minutes. Make your guesses in the comments and see if you can single out my efforts!